Nellsar is one the South East’s leading providers of specialist Dementia, Nursing and Residential Care services for the elderly. Established in 1988, it owns and manages care facilities around the South Home Counties, offering high quality accommodation for up to 700 residents. Nellsar comes under the Energy Saving Opportunity Scheme (ESOS) Regulations, which require businesses to carry out comprehensive audits of all their energy usage, including transport, and report to the regulator on a four-year cycle. As a registered Lead ESOS Assessor, Eshcon supported Nellsar through its full ESOS Assessment. The first stage was to measure energy consumption for the 13 sites – electricity, gas & LPG data was provided by Nellsar’s energy brokers UK Healthcare. This allowed an understanding of how energy was consumed at the sites, which varied in size, age & construction. ESOS Energy Audits were then conducted at a selection of sites to further identify energy usages, patterns, plant & equipment, operations, trends & anomalies. These highlighted energy savings opportunities (no cost & low cost), considering behavioural & operational changes, as well as relevant technologies. As many ESOS clients were in early stages on energy management, the focus was on achieving quick & easy improvements with minimal investment, and to improve management processes. Thus, high cost or high impact projects were not recommended.  Lastly, Eshcon handled all the Compliance Reporting requirements, including presenting to the director and notifying compliance to the regulators. The ESOS Evidence Pack was prepared for Nellsars’ records. A smooth running project, kept on track to ensure compliance well before the deadline. “Anya was as our Lead ESOS Assessor carrying out energy audits of our care homes. I was pleased how smoothly the project went as she liaised with site staff & partners to ensure data was obtained and the audits scheduled. The recommendations she gave were useful and relevant to our activities. I would not hesitate to recommend Anya to anyone looking to meet new compliance rules or simply wishing to make their organisation more effectively managed”.